The infamous iPhone hacker named George Hotz (aka geohot) is back big-time! In a new blog post today, he has announced that he has a working solution to jailbreak & unlock Phone 3GS, 3G, iPod touch 2G, 3G (new bootrom), and most probably the iPad as well. This is what he said about the untethered jailbreak on his blog. While he hasn’t given any specific release date, we can assume that it will only happen once the iPad, and the new firmware such as iPhone 3.2 or iPhone 4.0 is released. Here is a video proof of untethered jailbreak by Hotz himself! In the meantime, you can also check out our complete jailbreaking guides for iPhone 3.1.3 firmware for iPhone 2G, 3G, 3GS and iPod touch 1G/2G using redsn0w 0.9.3, redsn0w 0.9.4, sn0wbreeze, PwnageTool 3.1.5. Unlocking can be done using ultrasn0w or blacksn0w. Why cant he just release an unlocked, jailbroken and locked down 3.1.3 firmware so that apple wont find out how he did it and we'll all be happy! 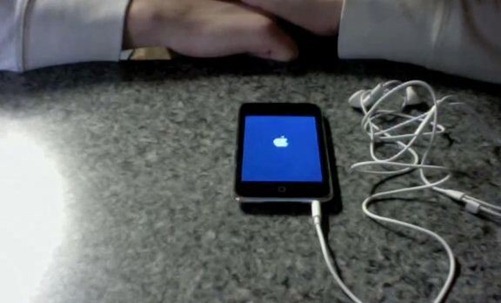 Hi, i have the same iphone as you and i have just jailbraked it with spirit, but i can't find a way to unlock it. So if you have succeed to unlock yours you are more then welcome to send me a mail and let me know how you did it. I have a 3.1.2 OS and a 05.12.01 baseband. Does that mean I'm screwed? Please help! I'm going nuts over this! I read a lot of the blogs on how to Jailbreak but i'm confuse which one to follow. Some says it can't be Jailbroken others said 3gs 3.1.3 new bootrom can have a Jailbreak. pls. help!!!!!! I am also afraid i may encounter problems like others that after Jailbreak it didn't function well. Would anybody pls. guide me on how to Jailbreak my stuff in a safeway. I am following blogs for sometime but till this writing i was helpless to go for Jailbreak. If you have the 3gs then you're screwed, but if you have a 3g or lower it can be downgraded. i have i phone 3g with the following bootloader 05.09 baseband 05.12.01 and OS 3.1.2 how can i unlock or downgrader my bootloade 05.09 to 05.08 need help. Yes you can jailbreak your iphone but you will not be able to unlock it. As you have the newest bootrom, unlocking is not possible at the moment, you will have to wait for a new software release. The best program ive used to jailbreak the iphone on 3.1.3 has been redsn0w 0.9.4, and the guide is available on this website. You will not be able to use ur iphone as a phone if you only jailbreak it though. trying to unlock my jail broken 3gs on 3.1.3 baseband 05.12.01. any1 with some success plizzzz reply. I successfully did it with SPIRIT. Also you can go to you tube for video guide on how you will do it. I successfully did it with SPIRIT for the Jailbreak but not unlock. U CANNOT UNLOCK ON 3.1.3 with those basebands! my unlocked phne crashed and accidentally got upgraded so trust me i know! u CAN JAILBRAKE on any 3.1.3 with SPIRIT! its VERY simple! and ZERO phne issues! but its NOT a carrier unlock! we will have to WAIT for that! it has been designed apparent but not released yet! also u CANNOT downgrade ur version,bandmode etc once upgraded! SO…simply once upgraded to 3.1.3…. use SPIRIT to JAILBRAKE! and then u mus WAIT for the carrier unlock to be released… guttin i kno! NEVER upgrade on cracked items/software…its SO simple… yet people still d it! all software updates fix is bugs and also security issues! the ONLY OTHER way to unlock/jailbrake it to FLASH ur iphone…. 95% wont b able to do it! u need to dismantle ur iphone! that is basically whats happens when u buy factory unlocked sim free phones! jailbrake n wait guys! make sure u always disable any automatic syncs and updates/searches… keep ur itunes at the same version all the time! its easy to easy and it doesnt have any problems. Ugh! I just bought my phone in late April after researching jailbreaking/unlocking…but obviously I didn't look into it enough. Is it true no one is working on a solution for the 3.1.3 with 05.12.01 b/c they're waiting for Apple to come out with 4.0?? Borthers…. i've just bought a used cingular simcard to activate mt iphone 3gs.. once i put it into my iphone, it still the same.. no changes.. still in emergency mode.. itunes still showing that my simcard is not compatible for this iphone… what should i do?? This does not mean you can unlock your phone if it has been upgraded to 3.1.3, yes you will be able to jailbreak it using any of those software, BUT unless you have the older bootrom (VERY UNLIKELY IF YOU HAVE UPDATED TO 3.1.3) you WILL NOT BE ABLE TO UNLOCK YOUR IPHONE AT THIS TIME. thats funny cause u said u cannot downgrade from 3.1.3 i did im useing 3.1.2 with new bootrom sooo ummmm u r indeed very rong…. well i got 3 iphones, 3g 16gb 3.1.3 you can do what you want unlock everything then 3gs 3.1.3 05.12.01 boot 6.4 model mc131 and you can jailbreak and unlock easily but my problem is i dont have original (working) sim card so its no activated, other networks working with no problems just o2 (have to be activated) ist not 🙁 then i got new 4 and waiting for jailbreak….. hopefully soon…. i bought the latest iphone 3.1.3 05.12.01. can my iphone be unlocked? my ipad is not opening after i upgrade in cydia…what to do reply??? ?